Are You Up To Code? The QRail® Series is an innovative new rooftop racking system featuring QClick and QSplice technologies that simplifies and speeds installation. QRail seamlessly combines with Quick Mount PV’s industry-leading waterproof mounts to provide a complete, fully integrated racking and mounting solution for installing solar PV modules on any roof. 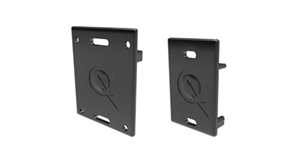 Exclusive QClick and QSplice technologies make installation fast and easy. Electrical bonding is fully integrated into every system component. And QRail comes with QDesign, a free online tool to enable quick and easy design of solar array configurations, generate complete engineering reports and calculate a precise bill of material for all the mounting, racking and accessories needed for a complete solar array. 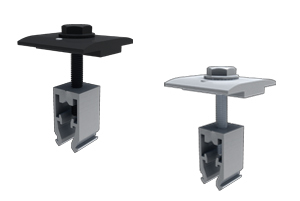 The universal mid and end clamps use QClick technology to simply “click” into the rail channel and remain upright, ready to accept the module. The pre-assembled clamps fit virtually all module frames and require no extra hardware, eliminating pre-loading and reducing installation time. Once installed, the clamps easily slide in the channel for fine-tuning module placement. 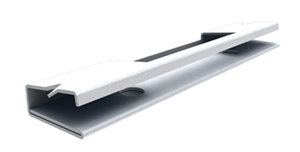 QRail’s innovative internal QSplice installs in seconds, requiring no tools or screws. 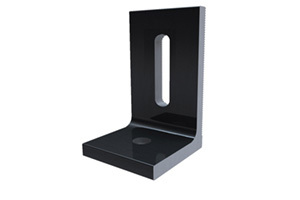 Simply insert QSplice into the rail and slide the other rail on to create a fully structural, bonded splice. 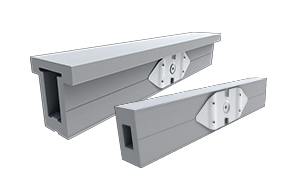 An external splice is also available for the Standard and Heavy rails. 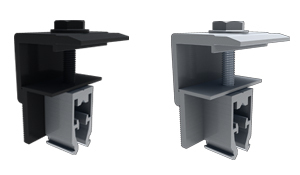 The QRail system provides an integrated electrical bonding path, ensuring that all exposed metal parts and the solar module frames are electrically connected. All electrical bonds are created when the components are installed and tightened down. QRail, together with Quick Mount PV’s waterproof mounting products, provides the benefit of a single-sourced, seamlessly integrated rooftop installation that works with all roof types — composition/asphalt shingles, flat or curved tile, metal shingle, shake, slate and low slope roofs. 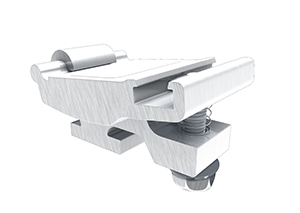 The QRail system also works with any roof attachment system for maximum flexibility. 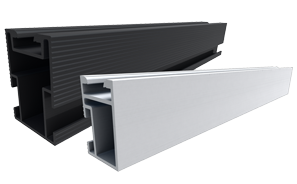 QRail is engineered for optimal structural performance. 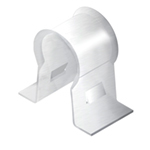 The system is certified to UL 2703, is fully code compliant and backed by a 25-year warranty. QRail is available in Light, Standard and Heavy versions to match all geographic locations. 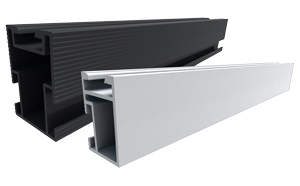 QRail is compatible with virtually all modules and works on a range of pitched roof surfaces. Solar modules can be mounted in portrait or landscape orientation in standard or shared-rail configurations. 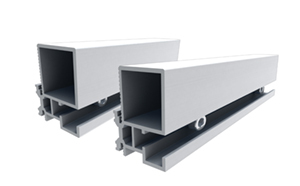 Aluminum QRails are available in three sizes to match all climate conditions: Heavy, Standard & Light. QRails come in three lengths – 168 inches (14 ft), 183in (15.25ft), and 208 inches (17.3 ft) – and in two finishes: mill and black. Designed for strength and versatility. Compatible with virtually all solar modules and roof attachment systems. Modules can be mounted in portrait or landscape orientation in either standard or shared rail configurations. Universal mid- and end-clamps fit 95 percent of all modules. Mid and end clamps with QClick Technology install quickly and remain in position for easy module placement. QSplice tool-free, bonded, structural splice installs in seconds. Module-level power electronics can be easily attached and electrically bonded. QDesign, a free online design tool. *For pricing on Heavy components please contact your sales rep.
"When I'm punching dozens of holes to mount a solar array, I need to be certain there are no points of failure. Only Quick Mount gives me that assurance." "I learned the hard way at a previous employer. Now I trust every job I can to Quick Mount PV. " "With our severe Rocky Mountain winters, only Quick Mount PV delivers the installation speed and absolute confidence we need." "We all agreed that only Quick Mount PV could give us the confidence we needed in mounting a big job like this." "Quick Mounts are better quality, more cost effective, and easier to install than any brand we've used." "I've been a roofer for 30 years and I know quality when I see it. Quick Mounts are the real deal." "Thanks to Quick Mount PV, the alliance between roofing and solar is stronger than ever." "I've tried a lot of attachment options, but here in the rainy Pacific Northwest, there is only one product I can trust on my customers' homes. Once we started using Quick Mounts we never stopped." Can I buy directly from Quick Mount PV? Are Quick Mount PV flashed mounts compatible with all rails? Will my building department recognize Quick Mount PV products? How many mounts should I install per module? What is the best method for locating rafters? Are Quick Mount PV trainings available?